Material experiments for Action At A Distance series. Flyspeck on cotton. 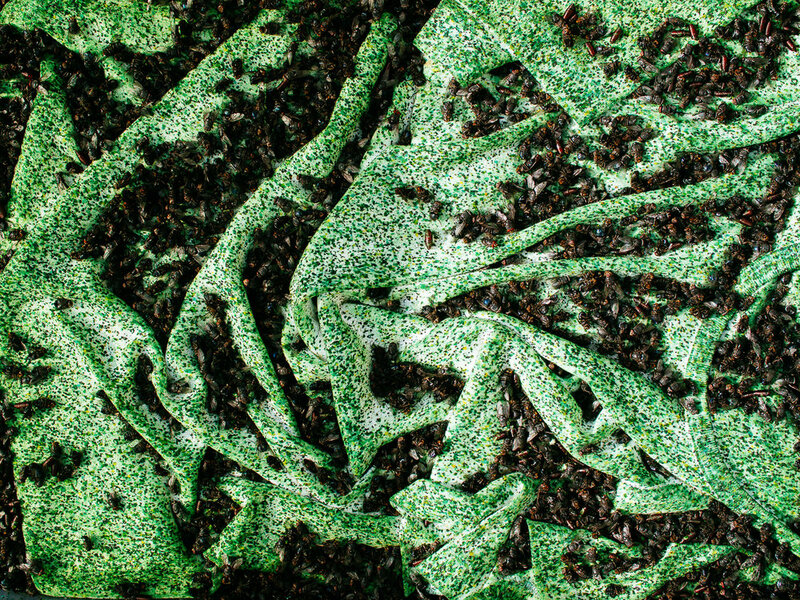 The dead flies pile up in crevices, blocking other flies from depositing flyspeck, which leads to variations in print density. Print density is highest on “peaks” of material, where most flies prefer to congregate and have a higher likelihood of depositing. The porosity of the print medium has a huge effect on the type of marks that get made. These two circles were made by the same fly group, fed the same food in the same conditions. 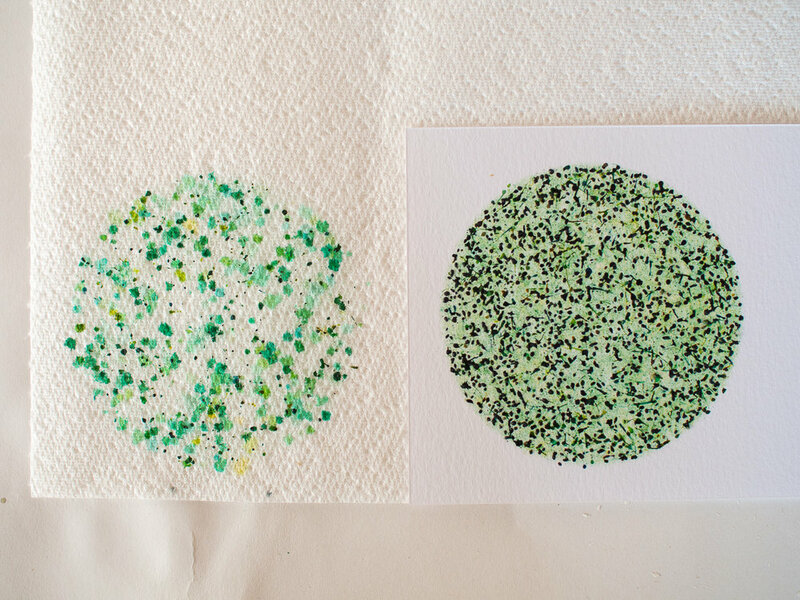 The porous kitchen paper on the left absorbs the flyspeck very well, leading to larger, more diffuse marks and colours. The paper on the right absorbs very little, and all the flyspeck remains tight, thick and dark on the surface.